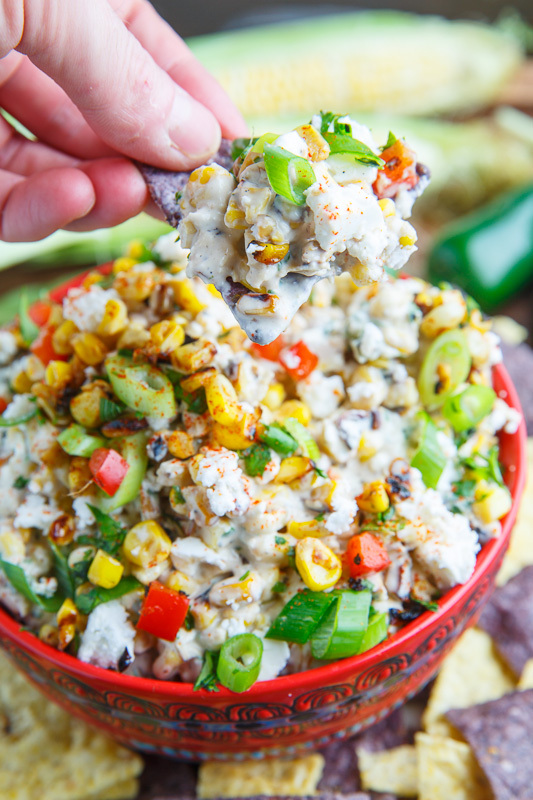 Mexican style street corn in dip form that is just perfect for scooping with tortilla chips! 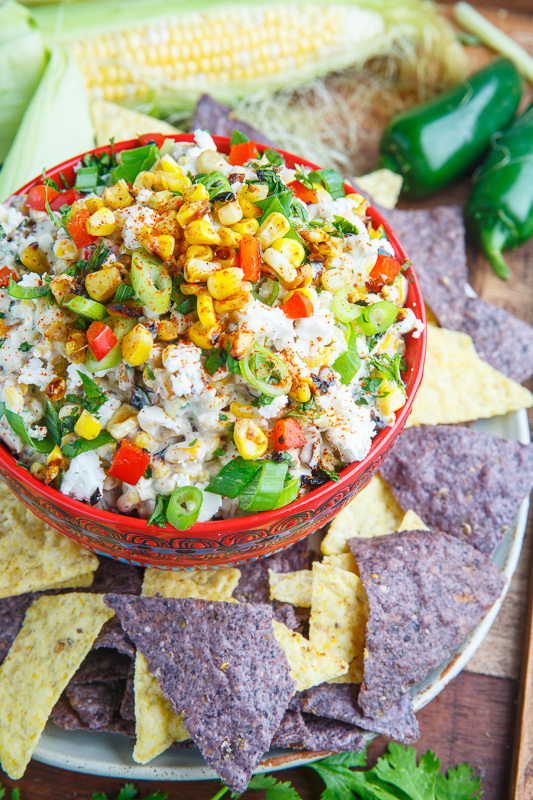 Today I have a new summer-y dip for you a Mexican street corn inspired corn salad dip! This dip was inspired by the flavours of elote, aka Mexican street corn, which is a grilled corn on the cob slathered with butter, mayo, lime juice, cheese and chili powder for an amazing combo of sweet, salty, sour and spicy! 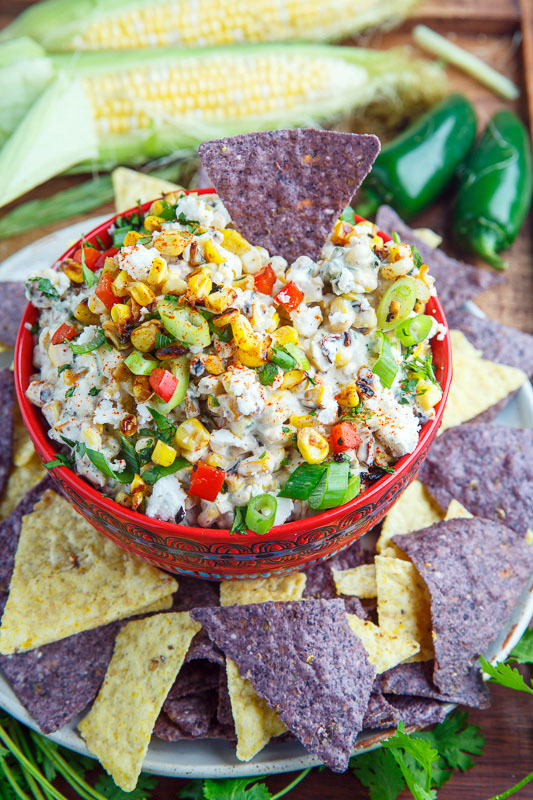 This dip is basically all of those ingredients along with a few others including, jalapeno peppers, red bell peppers, garlic, green onions and sour cream. The corn can be grilled on the cob or cut off and charred in a cast iron skillet to impart a really nice smokey flavour! 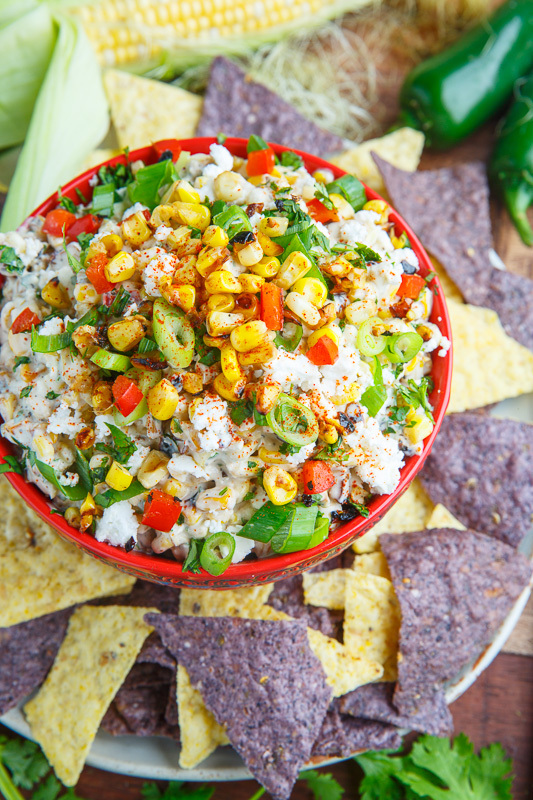 This mexican corn salad dip makes for a great dip with tortilla chips for scooping, a nice salad or side t eat by the spoonful! Melt the butter in a heavy skillet over medium-high heat add the corn, toss and let it sit cooking until lightly charred, mix it up and let it char again, about 6-10 minutes, before adding the jalapeno and bell pepper, sauteing for a minute and removing from heat.